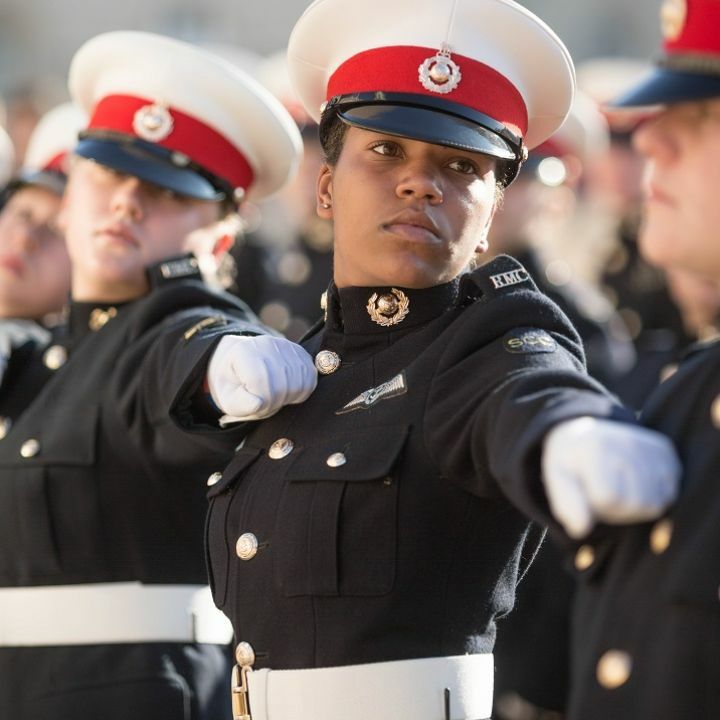 Royal Marines Cadet Second Class is Laurelle is the face of our newest value - courage. She tells us how it feels and what courage means to her. I, myself, to be frank- was incredibly astonished to find that a photo of myself, in my Royal Marine Cadet parade uniform, was chosen as one of the Sea Cadet Corp value posters. The photo, in its own right, was unknown of; considering that I was focusing very hard on the task at hand at that present time- taking a squad “dressing”. For that matter, this photo was taken on the 21st October 2018- during the Trafalgar Parade; taking place annually in Trafalgar Square at Nelson’s Column, commemorating the Battle of Trafalgar itself. There was, as expected, a selection process and a few days of drill practice and training that had to be completed and, even so, there were further selections within the practices for the Companies that we’d represent. The parade itself was not only worthwhile but absolutely phenomenal: the training, what we’d learnt, the experience of being onboard HMS Excellent and the parade itself- marching from Horse Guards Parade, through Pall Mall and right past Buckingham Palace. In finding a photo of myself as the face of the Corp value “Courage”, aside from honoured and humbled, it reminded me and prompted me to think of where I had demonstrated such a key value in my life thus far. In the Sea Cadet and Royal Marine Cadet Corp, and in life, courage is defined as “doing what we know is right”- especially in the face of adversity. For myself, this has ranged from reporting incidents to standing up for others, putting myself on the forefront for the sake of those who require defending or someone who has no voice. It definitely makes me smile in realising that, in fact, I have and I can demonstrate courage in my everyday activities and relations. I would recommend the Sea Cadets and Royal Marines Cadets with my whole heart- as they have not only done so much for so many young people, but also enriched the lives of so many young people and adults alike. My experience has been wonderful so far; I would never have been able to take part in such a large-scaled and national event, like the Trafalgar Parade if I had stayed at home or done anything else! The SCC and RMC Corp has truly opened up so many doors for me and exposed me to new opportunities and skills. Having also been embarked onto the National Aviation course last year, with all thanks to my unit, I must say, we rarely do the “every day” and, in all honesty, I love it. 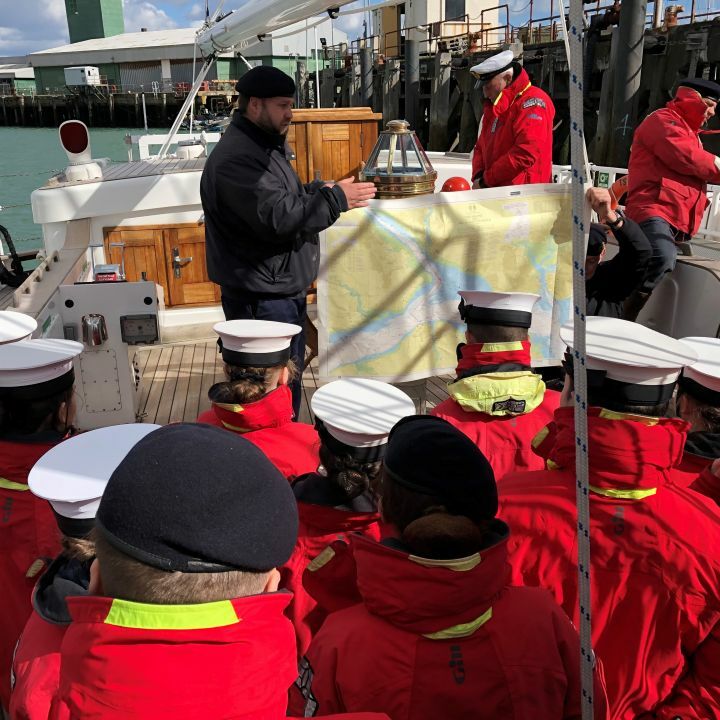 From sailing to Physical Training and offshore voyages, from Marine Engineering to Communication-Information systems and shooting weekends; these are only the tip of the iceberg as to what the SCC and RMC offer. It truly adds value and depth to my skills and knowledge, as well as teaching me something new and allowing me to channel and focus on my current and newly made interests. I would have little to say without the RMC and SCC and I must emphasise, with heartfelt sincerity, that they have changed my life and made me a stronger and more confident individual- and I am more than grateful. As I close, it is important to remember that courage itself is a beautiful thing- it separates the wheat from the chaff, highlights those who are happy to stand up for what is right, helps societies and groups to come together and build better relationships. I hope that, as we go on with our daily lives, that we’d see courage being demonstrated and shown more often- especially with the rise in youth crime and fatal incidents and attacks. To be frank, doing what is right is worth it all. Sea Cadets have six values - loyalty, self-discipline, respect, commitment, honesty & integrity and courage. I first joined the Sea Cadets in 2012 when I was 14 years old. I stayed with Staines Sea Cadets until I turned 18 and it was time to go to University, where I transferred to Welwyn & Hatfield Sea Cadets as a member of staff. The experiences and qualifications I gained through the cadets have assisted me in getting to where I am today. Through the cadets, I learnt to kayak. I got through to the National Regatta and came away with gold medals. I became a paddlesports instructor and went on to teach the cadets what I had been taught when I was their age. Becoming an instructor through the cadets helped me get a job in a Watersports Activity Centre, Stanborough Park, close to Uni and Welwyn Cadets, where I teach kayaking, rafting, stand-up paddle boarding and team building sessions for corporate companies, schools and groups. Similar to the Sea Cadets, but on a much larger scale. As part of Welwyn cadets I had the opportunity to get more qualifications in watersports such as windsurfing and sailing, and also went on to become a powerboat instructor and a higher level of kayaking coach. With the opportunities and qualifications, I gained from the Sea Cadets, and the experience I gained from my job at Stanborough Park, I have since been offered a job at a beach resort in Greece for the remainder of 2019 with a very popular holiday company. I can’t express just how happy I am with my 14-year-old self for joining the cadets. If I had never joined the cadets, I wouldn’t have learnt to paddle. If I hadn’t learnt to paddle I wouldn’t have picked a University with a kayak club, with whom I have since travelled around the country finding the biggest whitewater I can paddle. My paddlesports knowledge also meant I was voted as Chairman of the Uni Kayak Club for two years running. If I hadn’t picked the University I did, I wouldn’t have transferred to Welwyn cadets. If I hadn’t gone to Welwyn cadets, I wouldn’t have got the job at Stanborough Park. And finally, if that never happened, I wouldn’t currently be preparing to move to Greece to work as a paddlesports instructor, doing the job I love. I have my dream job because I joined the Sea Cadets as a 14-year-old and it was one of the best decisions I ever made. If you're interested in becoming a Sea Cadet or a volunteer visit the Join Us section to find out more. 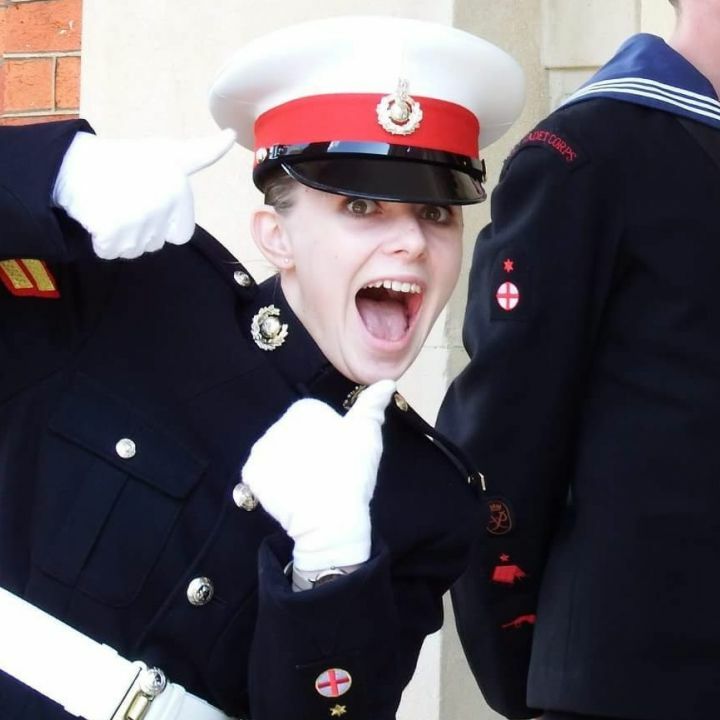 Shannon tells us what she got out of Sea Cadets, and why girls should think about joining. I joined the Sea cadets when I was 11 because my nan and grandad were both in the Navy and they thought it was a good place to make friends and develop my confidence. 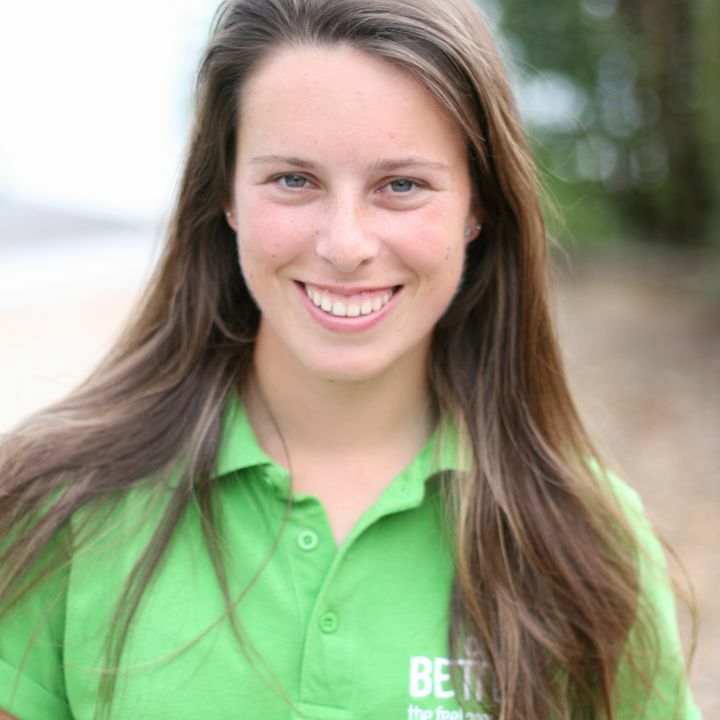 I developed skills such as teamwork and commitment and it helped me to gain more confidence and leadership abilities. In 2015, I was the North West area Navy Board Cadet, one of only six in the country. We were chosen for outstanding commitment, achievement and dedication. I represented all cadets at competitions, ceremonies and meetings. I was also selected to carry Nelson’s ensign at the national Trafalgar parade in London, which was a big highlight of my cadet career. I am keen for other girls to join Sea Cadets. It’s a place where you are accepted and encouraged to learn and become a leader. There isn’t anything that girls can’t do, whether it’s taking charge of a rowing crew, being part of the football team or going shooting – it’s open to all. Fundraising is a huge element of Sea Cadets. As a charity, we rely on the time and effort of people to go out and fundraise and on the generosity of the public to give what they can. I was inspired to see how much people gave, people we didn’t know. Even though the Sea Cadets are a charity, the cadets and volunteers endlessly fundraise for others such as the Royal British Legion, Macmillan cancer support and SSAFA. Throughout my time in Sea Cadets, my confidence grew and I learnt I was good with people and I could talk to them, and they felt like they could talk to me. This sparked my passion to help people. 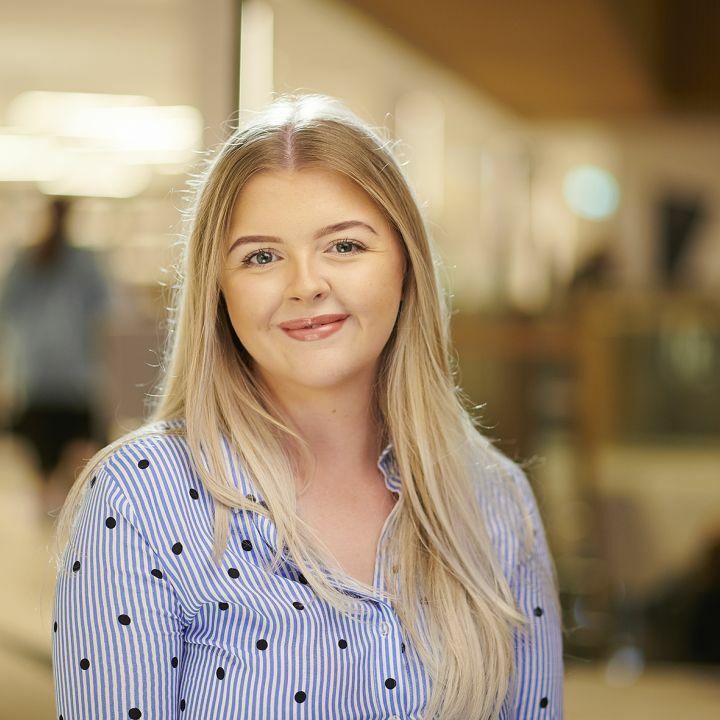 I am now a student nurse at Edge Hill University, and loving every second. I would have never made it without the skills and support I gained through cadets. I am forever grateful. For more information about joining Sea Cadets visit the join us section on our website.